To make the tomato jam: bring tomatoes and brown sugar to a boil in a small sauce pan. Reduce heat and simmer a few more minutes until it thickens and then set aside to cool down. Fill a medium pot 1/2 full with water and bring to a boil. Blanch the escarole, by cooking it for 3-4 minutes and strain. Add garlic, salt and pepper to escarole and set aside. In a separate skillet, sauté the mushrooms in oil and wine until they become soft. To cook the chicken breasts, coat both sides with olive oil and season with salt and pepper. 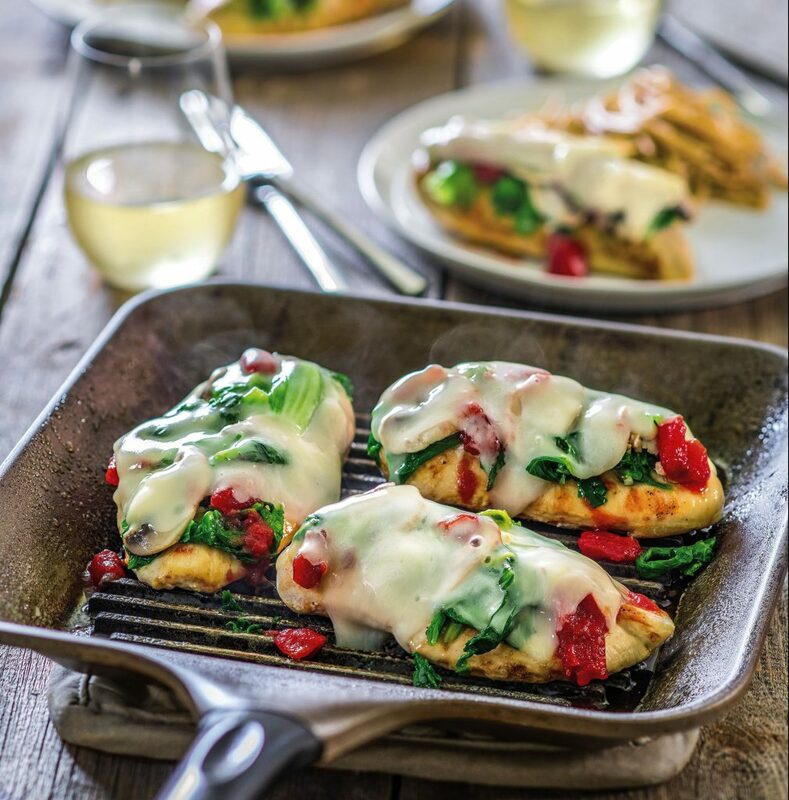 Grill chicken on a hot grill or grill pan to an internal temperature of 165 degrees F.
Once cooked, top each chicken breast with escarole, mushrooms, tomato Jam and a thick slice of cheese. Cover to melt and serve warm.